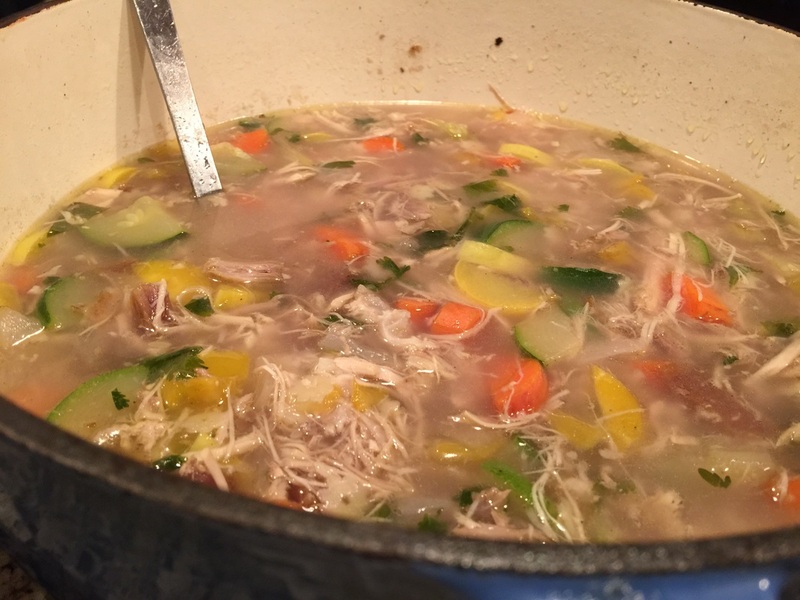 I like Turkey soup with noodles and potatoes but this time I wanted to create a turkey soup that is heavy on the veggies. 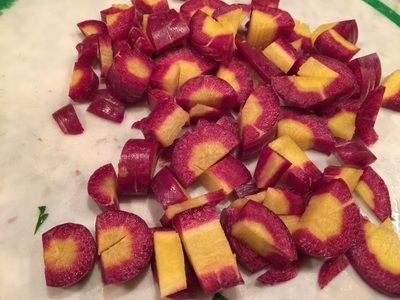 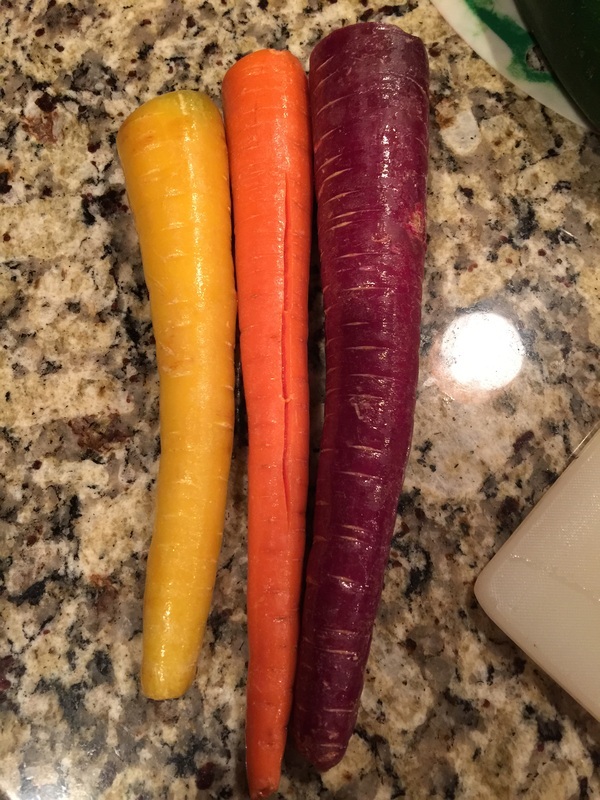 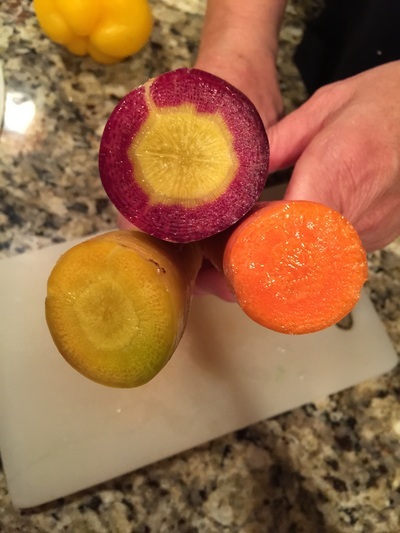 I used rainbow carrots because I had them and they are so fun to cook with but you could use standard carrots just as well. 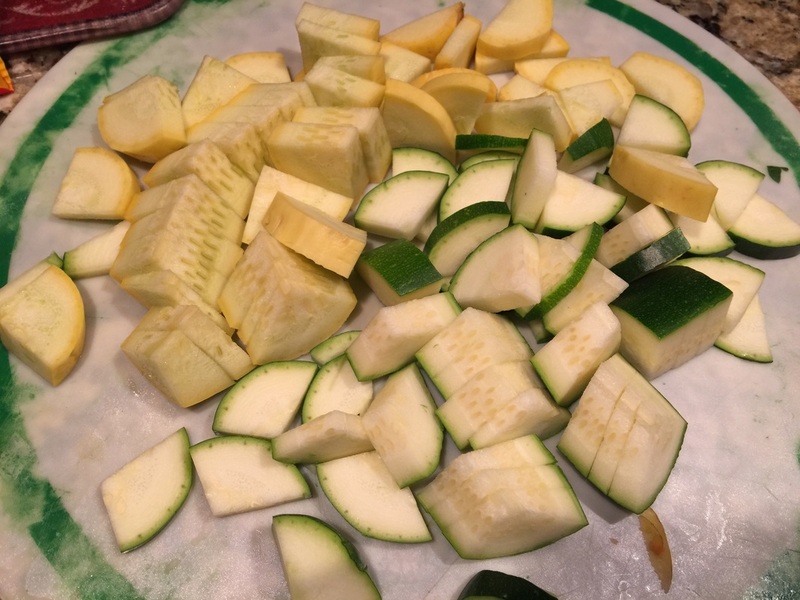 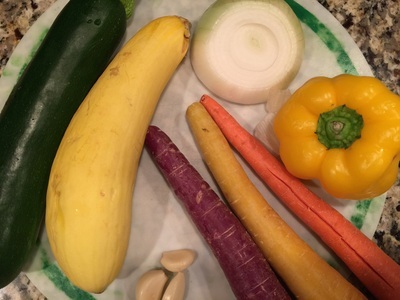 Besides the carrots you will find Yellow Squash, Zucchini Squash, Onion, Garlic and Yellow or Orange Bell Pepper. In a large stockpot, heat the oil and, when ready, add vegetables and sauté on medium heat for about 5 minutes. 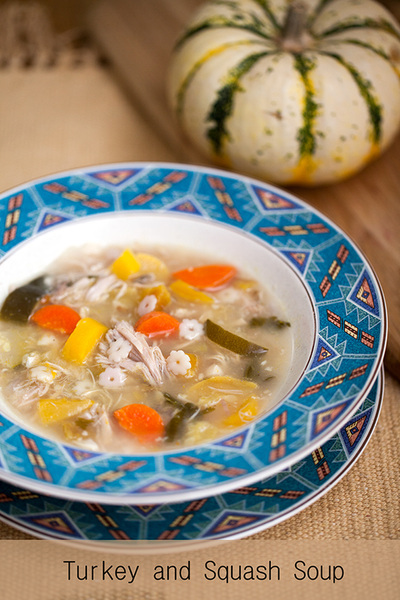 Add in leftover turkey and cover with turkey or chicken broth. 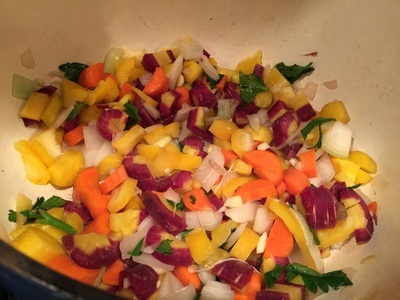 Cook until vegetables are tender about 15-20 minutes. 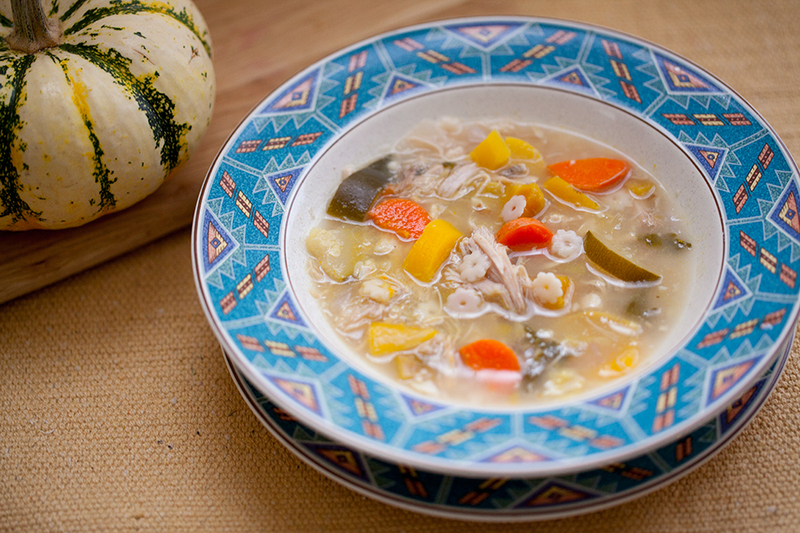 Making a simple turkey or chicken soup with leftovers is so fast and delicious!